BUFile-sharing service Dropbox has four offices across the US, including New York City, San Fransisco, and Seattle — but nothing is quite like the Austin, Texas location. 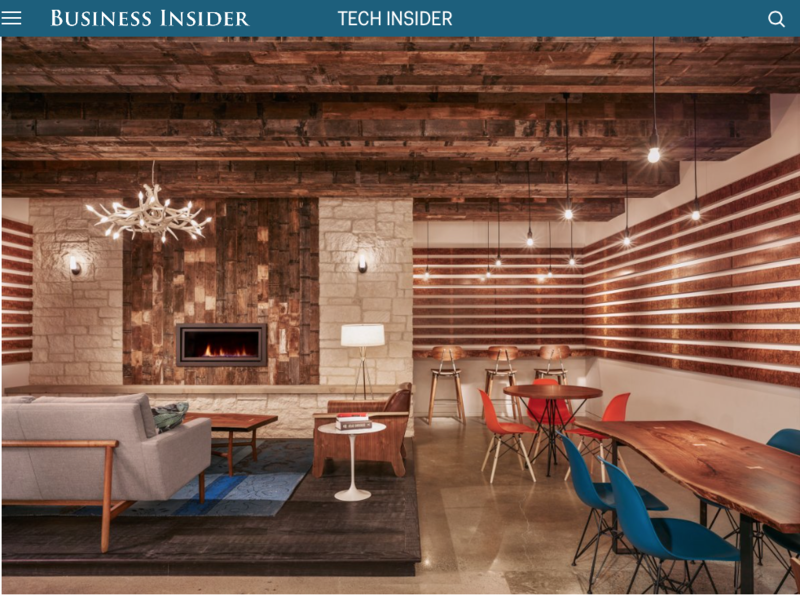 With cowhide rugs and antler chandeliers, the design team from lauckgroup created a special office environment that Austin Dropboxers, as they call themselves, could call their second home. A full-service cafe, gym, music room, and the dog-friendly policy also helps create a unique work environment. We recently chatted with Rusty Pierce, the office manager, and Aaron Limonthas, account manager and diversity lead, to hear more about what it's like to work there. A tour of the space, below. The Austin offices opened in 2015, when it was reported that the company had $400 million in revenue. This year, the company announced that it's on a $1 billion revenue run rate. The Austin offices are located in the heart of downtown, and they take up two and a half floors totaling 29,500 square feet. The company is currently expanding its Austin presence, adding a whole new floor as more people are hired on the sales and operations teams. "Our office currently holds about 150 people, and we are pushing that limit, and we're excited that we're continuing to grow," Pierce said. Once the construction is complete, the office will be just over 50,000 square feet. One of the team's favorite spaces is the full-service cafe, which also doubles as an event space. Breakfast, lunch, and dinner are catered from a local Austin company, Rosemary's Catering. "We don't go hungry here," Pierce joked.